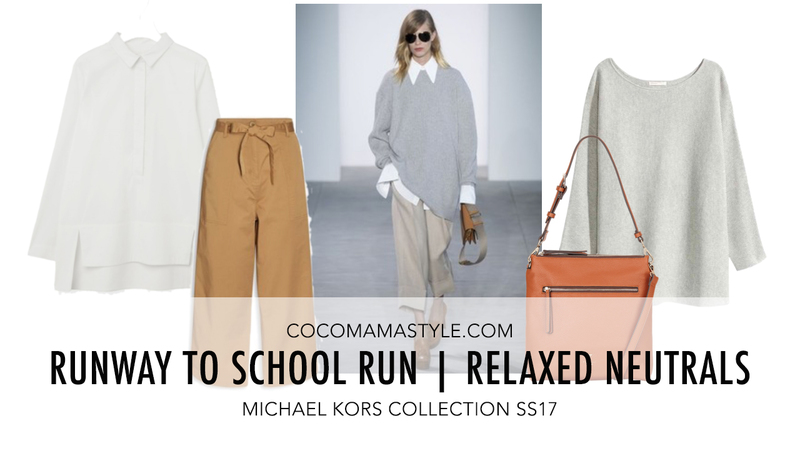 Proof that the catwalk can translate to real life – sometimes, anyway – with this easy-to-wear outfit inspired by the Michael Kors Collection Spring Summer 2017 runway show. 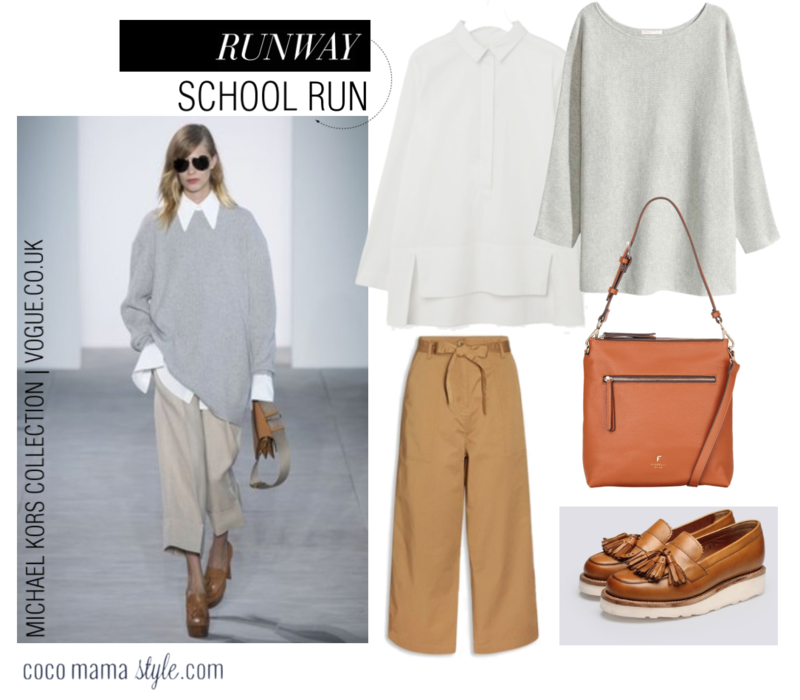 Individually, all the items featured are simple, somewhat plain even, and perhaps if worn with jeans, the white shirt and grey sweater may feel uninspiring but with a slouchy wide leg crop trouser the outfit instantly becomes fashion forward, yet still totally wearable and also practical. Style tip: Don’t fret about matching your tan-toned accessories; the whole outfit is a combination of light neutrals so contrast is good, to add definition and interest.